This is an invitation for you to discover your own unique and powerful story and the profound transformation that occurs when speaking it out loud. You’ll learn to trust your creative impulses, embracing all of who you are. By becoming the author of your own life and learning how to tell your own story, you will not only learn to craft your experience into a compelling narrative but you will also unleash a sense of purpose in your own life you never thought possible. Through writing exercises, group discussion, and improvisation we will support one another in creating and speaking our stories. This is a workshop for those interested in personal essay, memoir, solo performance, and self-discovery. TOPICS INCLUDE: writing to stimulate memory • story structure • creating spontaneously • writing on our feet • overcoming performance anxiety • releasing yourself from the inner critic. 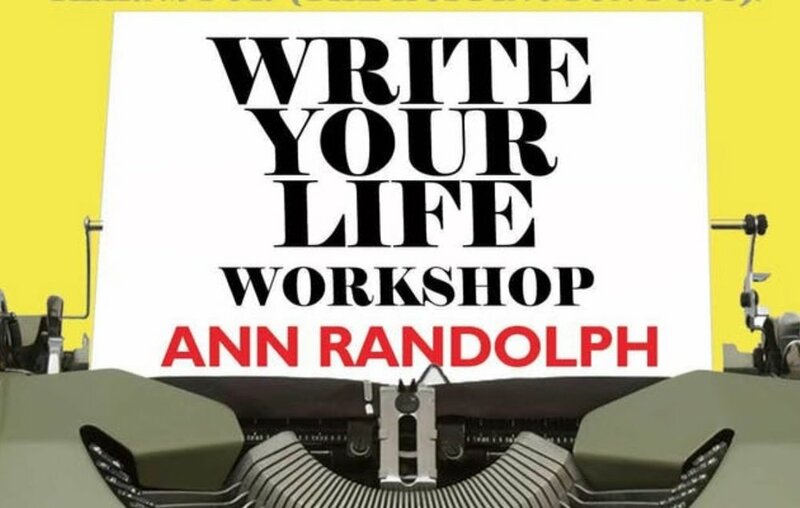 Ann Randolph is an Ovation Award-winning playwright and performer. Her multi-character solo show Squeeze Box was originally produced by Mel Brooks and the late Anne Bancroft, and went on to become a critically-acclaimed Off-Broadway hit. Her most recent solo show, Loveland, premiered at The Marsh, for which Ann was named “Best Solo Performer in San Francisco" by the San Francisco Examiner. The show has toured both nationally and internationally and enjoyed a critically-acclaimed run at the Arena Stage in D.C. It also won San Francisco Bay Area Critics Circle Award for “Best Original Script."